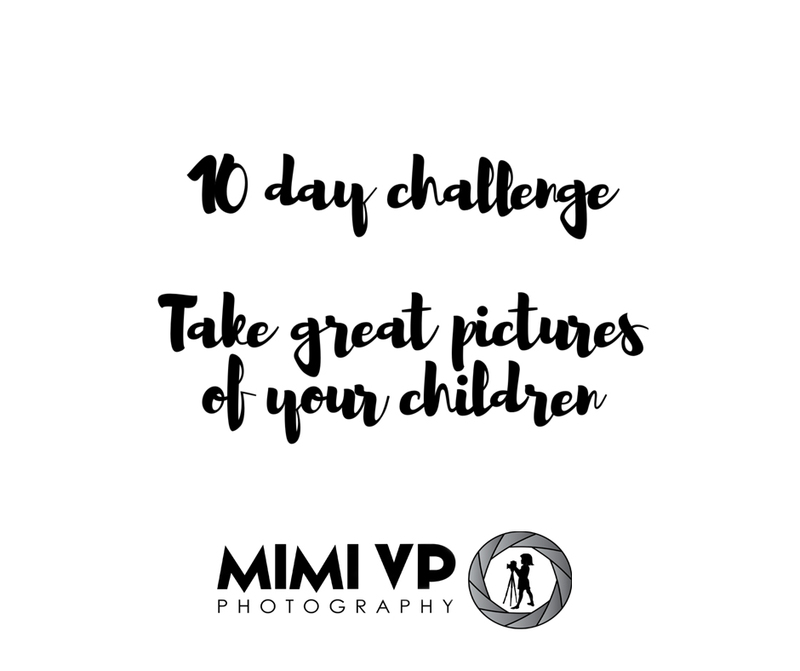 Today I am launching a 10 day challenge to take great pictures of your children! This challenge is for all parents who love taking photos of their children and fancy getting involved in a little fun challenge. The challenges are also tips, so you should find the process enjoyable. You don’t need to go anywhere or do any thing different that you would normally do in your day to day activities to achieve your daily challenge. If you would like to take part, read the details below, join the facebook group, and click here to get reminders of each challenge for the day. You only need your phone, although if you want to use a digital camera (DSLR) you can. Everyday I will announce the new challenge/tip for that day. You can share your photos, if you want, in the closed group, under the post for that day. Hopefully at the end of your 10 days you will have some great photos of your children. If you want to take part in the challenge, join and invite others to the facebook page “Mimi VP Photography“. Do you know anyone who would like to take part in this family photo challenge? If so forward them this email. I hope everything is clear, if you have any questions, please contact me via email, or in the group!